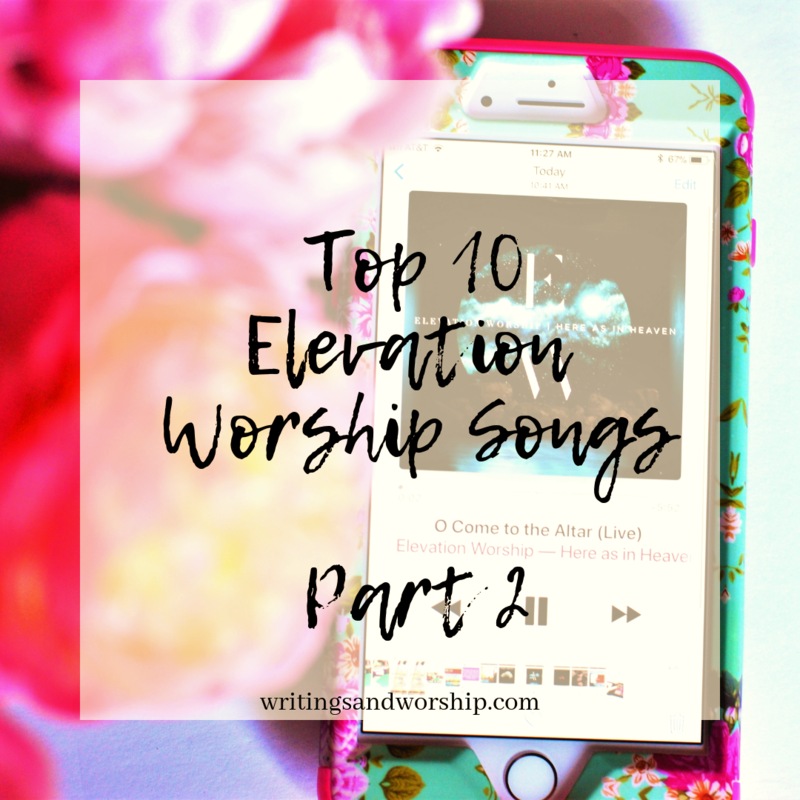 By far, my most searched and viewed posts are from my “Top 10” worship song series. Over the years, these have continued to be the top posts of my whole site. I love that because they are some of my favorite posts too! So far I’ve done Hillsong, All Sons & Daughters, Kari Jobe, Bethel, and Elevation Worship. Because there are way too many songs to pick just 10, I thought I’d do a round 2 of some of these groups. Today is round 2 of Elevation Worship! They’re going to be here in March and I’m really trying to pinch pennies and get some tickets. Anyway, Elevation is a newer favorite of mine. Their songs are incredibly powerful and they really know how to worship. I don’t know much about the church they are from, I’m planning to do some research, but God has definitely used some of their songs to speak mightily into my life. I found them at a really critical time of my faith and these songs were exactly what my heart needed to hear. “God of the Promise” is a song on their latest album that I found just by listening to the whole album trying to learn the new stuff. It is such a great song! Sometimes I think in the world we seem to forget about the promises God has made us. We get bogged down with all the sin and problems of this world that we forget that God is faithful and keeps his promises (even when they aren’t given when or how WE perceived it). If you need a nice uplifting song, this has a great beat to it as well. It’s always good to be reminded how God is a God of promise and He will never let us down. The gates of hell stand no chance against God- we can believe that. If there was a song that could almost 100 percent explain my life right now, it would probably be this one. This is my go-to song when I just need to rest in Gods presence. I love it because it’s saying, “look God, I know you are in control- I believe that- but God…I just need you to hold me for a moment. IF only for a minute, I need to be reminded that You are in control.” I know that God is in control. My grandma is facing surgery soon and we are all exhausted and getting worried…but I know God is working and will be with us. But sometimes, I just need a little reminder from God. I need a little reassurance from Him and to sit in His arms for a few moments. 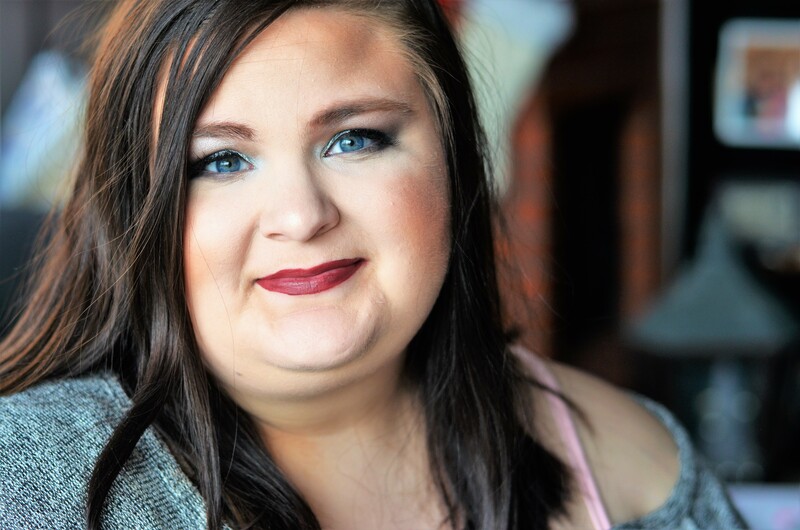 I might have shared this story in a previous post, but when my grandma was critical in the ICU it was quickly nearing the 1-year mark of my dad’s sudden death and life seemed completely overwhelming. My mom and I were on our way to the hospital after a few hours of sleep and this song came over the radio. It’s an older Elevation Worship song…but it is exactly what we needed to hear. I don’t know how people can have experiences like that and still not believe in God. He knew that song needed to play at that moment. The bridge of this song has become an anthem for me…well, honestly just the whole song. It’s saying God give me the faith to trust what you say…that’s exactly what I have needed in this time. And another reminder that God doesn’t fail…He doesn’t leave. He is strong in our weakness. Ya’ll might be sick of hearing about my dad’s death and my grandma’s illness…but these are what have marked me for the last year. I know I shared a whole post on this song, Not for a Minute, so I won’t go into all of it. But long story short, this song came out a little after my dad died suddenly and I was really dealing with the fact that he was “alone” when he died. Then the phrase in this song changed me, “not for a minute was I forsaken.” Those simple words reminded me that in that instant my dead walked from Earth to Heaven…he wasn’t alone…he wasn’t forsaken. God never left Him, not even a minute, and He won’t you either. So often worship songs are focused on God helping us through the things we go through. But we need to remember how important it is to be thankful and show that gratitude in worship. God deserves our thankfulness during worship because He is God…not because of anything He does for us. This is a great song to sing to get your heart centered on that gratitude. It’s all about giving God that praise He deserves. And about not forgetting all God has done for us and will continue to do. Have you ever been in an intense worship service and you feel like you get a glimpse of what heaven would be like? That’s what I feel this song is trying to portray. We are welcoming the Holy Spirit to come and move in this place. I think we so often miss the evidence of the spirit of God and this song helps remind me to be more attuned to it. I think this song also really helps to get your heart, mind, and spirit ready for worship. To set our minds on God alone and lay our troubles at His feet so we can focus on what He wants to show us. Sometimes, you’ve got to listen to the whole album- not just the singles or the most popular songs on the album. This song became dear to me when we were dealing with my grandma’s ICU stay. We had faced so much in the last year and life felt out of control but…He was still God. Not only is He still God but He still deserves our praise and exaltation no matter what our life looks like. God has always been God and will always be. The same God that resurrected Jesus from the grave, calmed the seas, fed the five thousand, and healed the bleeding woman…is the same God that is working in your life today. Worship can be fun too! I love dancing around to this song while I’m cooking dinner. Worship music doesn’t have to be all somber, praise can be fun and exciting. This song would be a great workout song too. It has such a strong message and a great beat that it’s great to listen to at any time. It has the feel of a popular pop song but with a much better message that you are filling your mind with. I know I am really trying to fill my mind with all things God to help combat anxiety so songs like this really help. One thing I’ve learned over and over again this last year is that God is faithful. So often He provides in ways I never expected and it’s exactly what I needed. I doubt Him so much and He is the one thing that will continue to be faithful and consistent. This last year has held so much worry, fear, grief, and sadness…but God continually showed His faithfulness. The song is such a powerful reminder of Gods character. God deserves our praise- He always comes through- He is always faithful. This song is just a simple reminder of how much we need God. We need Him in every aspect of our lives. He should be our obsession our first and only. We place so much ahead of Him and He deserves better. He deserves all of us. I love how simple this song but how powerful this reminder is to my heart.